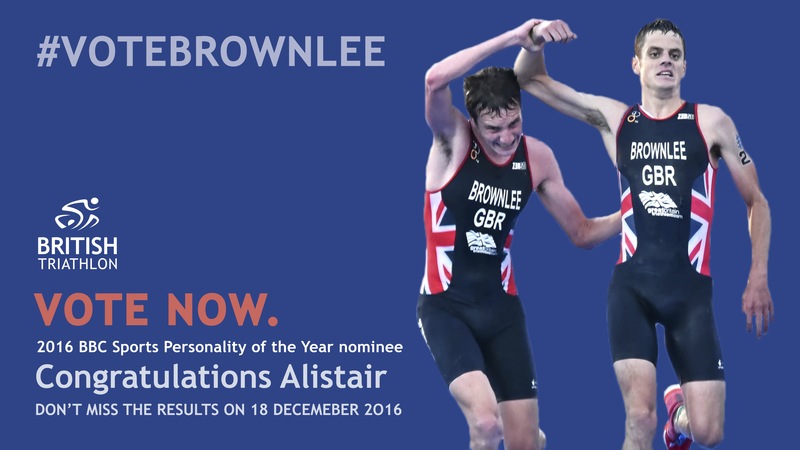 VOTE FOR ALI BROWNLEE IN SPOTY! Come on people! First ever triathlete and an all-round hero so get voting tonight! Jonathan Brownlee is amongst those calling for the triathlon community to back Alistair Brownlee for at the BBC Sports Personality of the Year Awards this Sunday. Alistair is the first triathlete ever to be nominated, and every vote will make a difference. Voting can be completed online or over the phone on Sunday night. To vote online, you will need to register via the BBC, which can be done right now via the links below. The BBC show will start at 6:40pm on Sunday evening on BBC One. There are sixteen contenders for the prestigious award, with Andy Murray considered to be the front-runner. Alistair Brownlee’s nomination comes in recognition of seven years at the top of the sport, his Rio and London Olympic gold medals, and, of course, that incredible moment in Cozumel, Mexico, where he helped his exhausted brother over the line at the ITU World Championships.